Hydrilla spraying is planned for portions of all four lakes on the Kissimmee Chain, beginning Tuesday. Lakes Toho, Hatchineha and Cypress are being sprayed this week, while Toho will have more ongoing treatments in late November and during December. The final draft plan for hydrilla management on the Kissimmee Chain of Lakes for treatments through spring 2012 will be the focus of a public meeting Aug. 31 in the Osceola County Chambers in the Administrative Building at 1 Courthouse Square in Kissimmee. 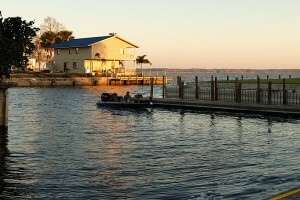 Alert: Bass-fishing on Lake Toho is RED hot! BASS ONLINE2016-10-18T14:33:55-04:00June 12th, 2010|Categories: Florida Fishing Reports, Lake Toho Fishing Reports - Lake Tohopekaliga, FL, Our FWC|Tags: Florida Bass Fishing, Kissimmee Chain of Lakes, Lake Toho Fishing, MyFWC|Comments Off on Alert: Bass-fishing on Lake Toho is RED hot!